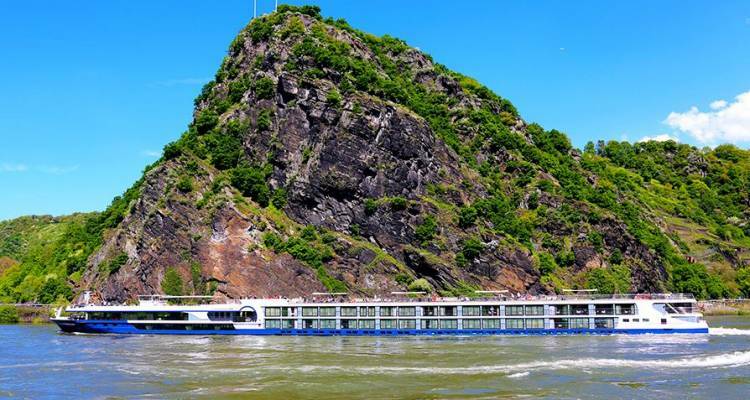 Part of Avalon's cutting-edge fleet of Suite Ships®, the Avalon Expression came onto the European river cruising scene with a bang. This gorgeous ship features two full decks of Panorama SuitesSM with Wall-to-Wall Panoramic Windows that transform the living space into a unique Open-Air BalconySM. Awake in your Comfort Collection window-facing bed each morning with seamless river views that become part of your living space. With 200 square feet, Panorama SuitesSM are more than 30% larger than the industry standard, delivering incomparable views of Europeans most stunning landscapes. Onboard amenities include an alternative light dining option in the Panorama Bistro, an expanded fitness center, complimentary Wi-Fi access, and a spacious Sky Deck with premium lounge chairs, whirlpool, and light al fresco lunches at the Sky Bistro on the Sky Deck.